I’d never heard of Keen hiking shoes before, but I’m so glad I have now. My old hiking sandals were 6 years old, gave me blisters and weren’t that comfortable. Plus they were a little heavy. My old hiking sandals were 6 years old, gave me blisters and weren’t that comfortable. Plus they were a little heavy. These women’s Keens hiking sandals are like wearing a comfy pair of socks with holes in them so you have heaps of room to breathe. I love them! 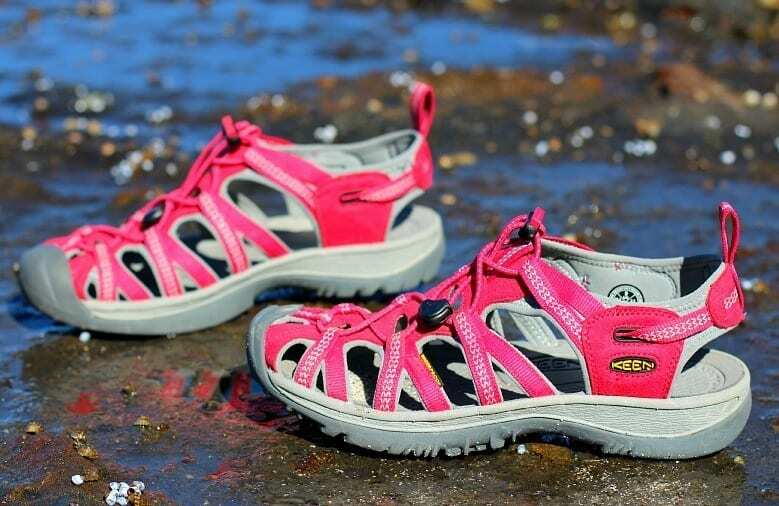 Craig couldn’t have chosen better with the colour for the Keen hiking shoes – bold and happy, the pink works a treat for me. 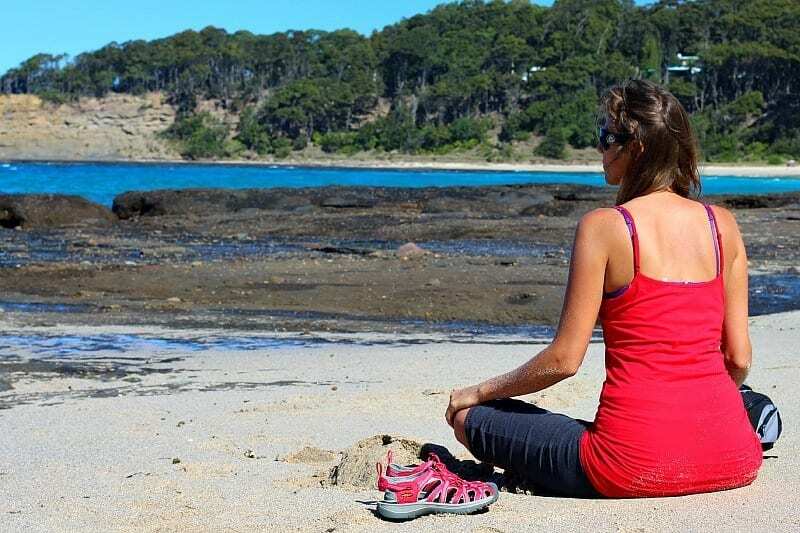 We tested the Keen hiking sandals out with a walk along the coastline at Pretty Beach. The Keens were so comfortable and light. They offered plenty of protection and gave me no blisters or sore feet. I loved walking over the sand with them because all I had to do was shake my feet a few times for the sand to fall back out the cracks when we finished. I then tried the Keen hiking sandals out with a few creek crossings. They kept me upright, recovered quickly on dry land, didn’t give me blisters, and dried quickly. These Keen women shoes are the BOMB and are now my go-to shoes. My poor thongs (flip flops) don’t understand why they have suddenly been so rejected. So if you are looking for a good pair of travel hiking sandals, I’d recommend Keen women shoes. Being waterproof, I can’t wait to try them out in the water now to see how they stand up. P.S. Craig purchased his own pair of Keen shoes today at the Kathmandu store here in Hobart. I’ve now had my Keen hiking sandals for 3 years AND they still look brand new and are as comfy as ever! My Keens shoes have never given me a blister, but rocks and sticks sometimes do get caught under my feet. But, it’s no biggie. I’ll definitely be buying Keens hiking shoes again, if these ones eventually fall apart. But, they look like they have a lot of life left in them. These are by far the best hiking sandals I’ve ever owned. I cannot believe how long they have lasted. 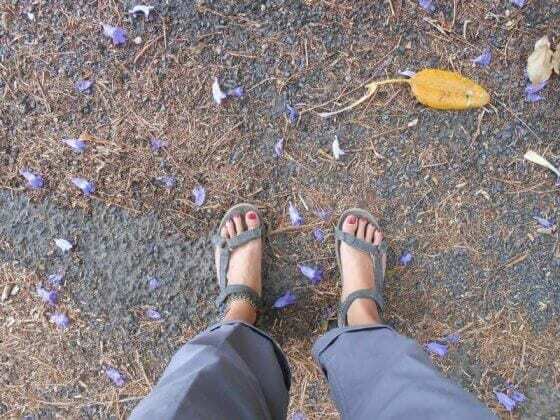 Just so you know in the three years since owning these KEENS, I’ve road tripped around Australia for 18 months and am now road tripping across the US with them. I do plenty of hikes, especially in the dry and dusty outback, including plenty of wading in water. They’re still in perfect condition. My Keen women’s hiking sandals are definitely my biggest travel gear recommendation to add to your travel packing list. Do you own a pair of keen hiking shoes? What are your favourite travel shoes or women’s hiking sandals? Your Keen sandals sound great, Caz. 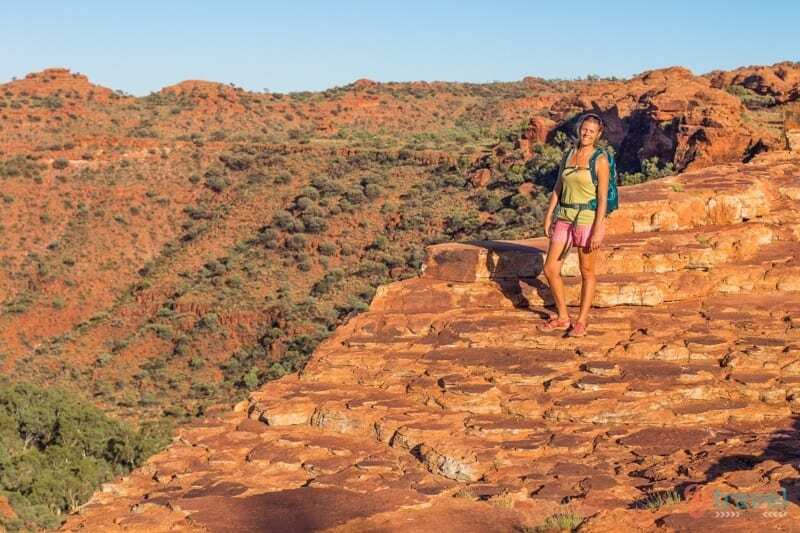 My go-to shoes are my Merrells – they are light and super comfy too – but they can be a bit hot in Summer and definitely aren’t any good for creek crossings! I’ll have to check out Keen sandals and maybe add a pair to my shoe collection. Last year I was in New Orleans and the sandals I had were killing my feet. I ended up splurging about $150US on a pair of Keen sandals and they literally saved my trip. I have really high arches and the keens had great support, and I didn’t need to by an insert (like I do for most shoes). 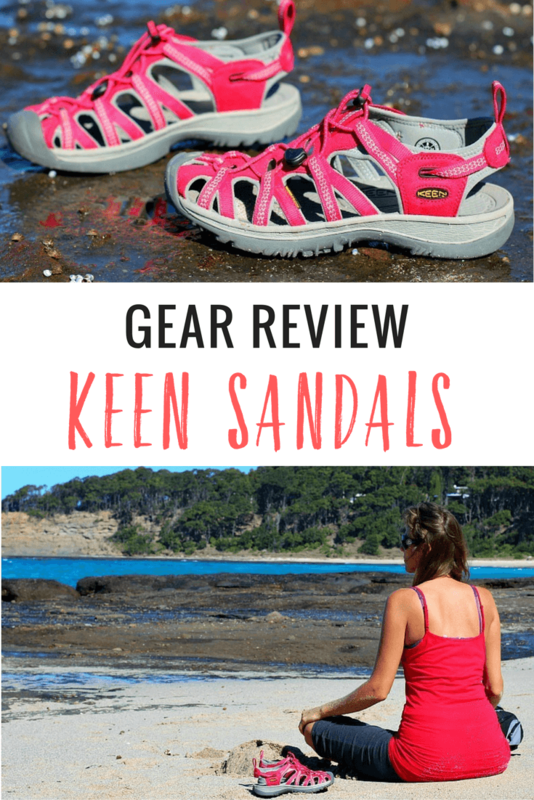 My Keen’s have become my go to sandals for the summer, and I’d definitely splurge on another pair again. Now I just have to find a pair of shoes that are just as good. I LOVE KEENS! They make wonderful hiking boots as well. Next time you need to replace your hiking boots, get Keens. Super comfortable…almost like wearing slippers! They make some breathable waterproof ones that are great for hiking soggy trails or trails with lots of stream crossings. Keen’s all the way! I love them. My first pair lasted 6 years I think of serious wear and tear! I have a pair of Merrel sandals which have lasted really well. They’re also nice and light, but it looks like your Keens would dry out better than the style I have. I’ll check them out the next time I need a pair. Mine only came in boring black! Our family of four left Sept 1st for a 10 month trip RTW and these shoes are the only ones we brought. (We’re only doing carry-on and there was no room for another pair after all the homeschool stuff). We’re heading into our fifth country (Sri Lanka) and have absolutely no complaints. We love these shoes. No doubt, KEEN provides some good quality sandals and shoes both for men and women. I love the pink color KEEN shoe too! I will bring the shoe for my wife, who loves to hiking in the weekend! I think she will love the color too! Love the KEEN shoes! They are just great to wear. My friend has the pair and she love to walk with the shoes. Simply amazing shoes, according to her! They’re the best. I can’t believe how new mine still are after two years of wearing them all the time! it’s hard to find them in Indonesia. I have pair of Keen hiking sandals, too. I took mine to Sumatra last year and they proved to be perfect for the jungle terrain when we were on walking day-trips. Loads of little river crossings and the humidity was high, though they worked a treat. Plus, my sandals are not made from animal products, which is mandatory for me. Thank you for sharing your experiences, Caz! I was JUST thinking about this. I wore my Keen’s on my last trip hiking in Sumatra and around Indonesia. They were incredibly comfortable but they were a bit heavy and I thought they didn’t dry very quickly. I left them at home for those reasons and brought my old open toe Teva sandals for my current trip in Laos. I am already regretting not having my Keen’s as my Tevas don’t offer enough support and the sole just broke. I am going shoe shopping tomorrow ?. I am tempted to buy a pair of proper walking shoes but don’t want to carry them on the heat of Southeast Asia. Possibly stick with the Keens. They’re more lightweight than other hiking shoes I’ve carried with me before. 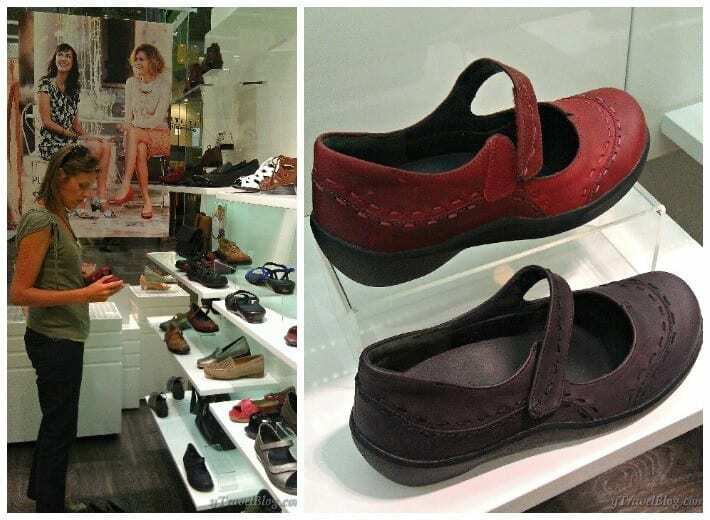 That’s look great, your keen sandals will support you at every moments. In my country Indonesia, we usually use this like hiking and trekking hehehe but we have to bring your replacement in your bag. You are right, Indonesia has a lot of mountains that must we hike. Next time, I’ll visit your country, mate!